Virtually every business needs some form of license or permits to operate legally. However, knowing which one you need, however, can be a little tricky. It depends on the type of business you are operating, where it’s located, and what government rules apply. Sure, getting licenses and permits is about as fun as visiting the dentist. But failing to do so and doing it right from the beginning is one of the most common mistakes new entrepreneurs make. So before you start, it’s a good idea to line up a lawyer whose practice is focused on business. A good way to find a lawyer is to ask for recommendations from your accountant or business acquaintances. If you’re not sure about needing help on an issue, ask your lawyer about it first. The term “business license” is a bit misleading as it makes it sound as if there is one license you apply for, sort of like a driver’s license, that you obtain and—voila! You’re legally in business. That is not the case. State and local authorities often require even more small business licenses and have more issues to consider than the regulations imposed by the federal government. 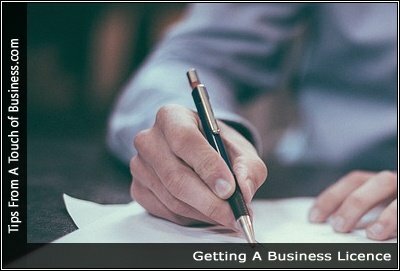 Before launching your business, make sure you have all the necessary paperwork. Here’s a list of some of the various licenses and permits you may be required to file.